“Let’s not pass up the good in futile pursuit of the perfect.” What would be your constructive, realistic solution to the worship wars? Thanks. Jason – I disagree with your historical assessment. First, there were Jews in all parts of Europe that Luther knew of. So to say all Europe was Christianized doesn’t take this into account. Second, the differences in teaching between the Roman Catholic church, the Anabaptists, Zwingli and Luther were so great that the Lutherans could not honestly say that anyone who believed and supported the Pope, the sectarians (like Thomas Muenzer), or Zwingli had salvation. Thus, though they were “churched” doesn’t mean that they were saved. Third, Luther speaks of many of the people in the Lutheran churches some ten years after the Reformation who had learned the “fine art” of despising the Gospel and thinking lightly of it. Therefore, they also needed ongoing catechesis and admonition. I can not tell you how greatly this effects our decisions on where to worship as a family on vacation. When we will be gone I use sites like this one to find confessional churches to attend for the week. Liturgical churches, that even being far from home, feel just like home as we share a common liturgy and confession of faith… a concordia of one heart. Even my kids, at the age of 8 and 10 could see this as they knew no one in the church… but knew the liturgy and thereby knew everyone via our common confession and the faith expressed in the common liturgy. More importantly… if the need arises for pastoral care while away from home…. through this shared faith I know the confession of the pastor where I am vacationing and he knows mine as they are one in the same. He can come to my or my childs bedside with the forgivness and mercy of Christ and I can put my total faith in the Word he brings. Welcome, Miguel, to the discussion. Good to have you aboard – especially with our shared interest in music history. Historically, while there were some slight differences in liturgical usages in the 16th and 17th centuries, it was not up to each congregation to choose where it went. Instead, each consistory had its own agenda. (In today’s terms, it would be like each LCMS district today would all have the same order of service, though this might be slightly different if you moved to another district). What were some of these slight differences? Some may have used Latin as well as German. Some may have had an additional responsory that was sung in addition to what other consistories had. Eventually, some consistories leaned toward using a more Calvinistic favorable liturgical text during the Lord’s Supper. Respectfully, Pastor – How do we fix it? Please see comment 48. @Rev. Robert Mayes #53 And yet we have no control or discipline for such practice that invariably leads to dilution or dismissal of our Confessional doctrine. The first evidence is the complete loss of closed communion for the Holy Grail of CG. And Lord forbid a layman should demand fidelity. Truth is we are no longer a cohesive synod. We are a loose collection of “lutheran” churches and finding lively orthodoxy is now a major chore as well as a rarity. Many laymen are pushing for independence from the synod if only in financial support until or IF this abomination is cleared up. If only the american evangelicals among us would walk out and save us all this head ache. This should be haunting, but most likely folks will read it and go back to business as usual (emphasis on business). NOW – if a congregation is not using hymnbooks they have a problem. If they are not using the Catechism they have a problem. If they do those things they are breaking their conditions of membership and should be candidates for rebuke, which if followed with impenitence towards these agreed upon conditions of membership, should warrant a congregations removal from Synod (they have already removed themselves). I have no idea where the congregation you belong to fits in the “spectrum of reconciled diversity” in the LCMS, but it might be worth noting that if you are not using doctrinally pure agendas (which contain liturgies for all kinds of special occasions – funerals, weddings…), hymnbooks (which I guess would mean TLH, LW, LSB, ELH and so forth), and the Catechism, it may be something to consider as you are not doing as you promised to the rest of us (synod). @Pastor Joshua Scheer #58 Legislate and enforce. But we will have to get rid of a lot of our COP members who are often the initiators and advocates of bad practice. We have to keep in mind that without discipline we do not fully love. Thank you! I was just planning on heading down to our local print shop (per Helen’s suggestion) but this saves me a trip and probably several hundred extra bumper stickers! Blessings in Christ. First, I assume you meant comment #49, which was your earlier question, and not comment #48, which was Rev. McCall’s conclusion to his timed out earlier comment? Second, how to address this – Well, there was a time in Lutheran history where unity was disintegrating, where divisions in doctrine and practice were damaging the Lutheran church as a whole. It was the decades of the 1560’s and 1570’s, leading up to the Formula of Concord. The way they solved their issues was that they first sat down, determined what the points of contention were by getting commentary and appropriate feedback from all sides. They took a long time to do this, too – at least a year or so. Then, Biblical and historical evaluations were made that clearly confessed what the correct teaching was. Another time of controversy that was solved was when Heinrich Schwan helped heal the LCMS in the predestinarian controversy. All pastors of the LCMS and lay representatives from each congregation came together. (I know, a difficult thing for us today, but maybe we could do it by circuit or two circuits at first? Just a thought). They took 5-6 days to address the predestination issues. While the predestination issues were being formulated, Schwan instructed the convention to get down on their knees and pray for God’s mercy on the Missouri synod and to heal this satanic division. After that, the convention took a day more for other issues. Then the lay people were dismissed, and the pastors stayed and took 2 more days to clear up any personal divisions that were there. And it worked. Maybe these could give us a guideline. Rev. Mayes, great thoughts! In my comment about liturgical uniformity and music history, I was actually referring to pre-reformation, hence the reference to the “eastern church.” I believe it wasn’t until the 6th century when liturgical uniformity even became a possibility, with one certain pope given credit for bringing it about. I had no idea the early Lutherans were so uniform, but I am really hoping to shore up my knowledge on that era when I finish my graduate degree (after the DPM colloquy, of course). The problem is, however, that LCMS congregations are autonomous. IMO, that is by far our greatest ecclesiological weakness. I truly wish we’d learn a bit from the Presbyterians on this one: Their “book of order” is binding on all their congregations, which contains very specific guidelines for worship (though they are much more simplistic guidelines than a Divine Service liturgy). Autonomous congregations are the theological equivalent of “Nobody tells ME how to do church!,” and this is the catalyst for all the craziness of the evangelical circus. Churches who have to answer to somebody outside their local congregation don’t have the rootless, fad-driven, vacuous consumer worship that evangelicalism is generally known for. But currently, our denominational polity is much closer to the Southern Baptists than it is to the PCA. If we could learn some more organizational and ecclesial “connectedness” (as the Presbyterians like to call it), than our churches could learn to practice mutual submission and agree to a common order of worship that is based upon and reflects who we are as Lutheran believers. Otherwise, as long as every congregation is enslaved to their own personal preference, it will simply never happen. It’s also important to acknowledge that the “community of God in every place and every time” was written of Lutheran territorial churches, not individual congregations. Zion Lutheran Anchorage, AK is not the “community of God in my place and time” in the way the FC defines it. It is the LC-MS (or perhaps the NoW District) that is the “community of God in my place and time,” and Synod exercises its “right, power, and authority to change and decrease or increase ceremonies (that are truly adiaphora)” by publishing approved hymnals every so often. We use LSB and Creative Worship. CPH promotes Creative Worship quite a bit so it must be OK.
Then we’d be unfriendly to the hundreds (thousands?) of congregations that have contemporary services at least once a weekend. So once an unloving selfish act is taken, it’s “unfriendly” to ask the folks who took the unloving selfish act to stop? Really? What makes you say that? Thank you. This sounds similar to the koinonia project. I’m hopeful this will work but after a couple years will people lose interest? Here we go in circles again. I don’t agree the motivation for contemporary worship is unloving selfishness. It’s just the opposite. If it’s done well it takes a lot of planning and work. The motivation is sincere (perhaps misguided) desire to relate to the folks in the neighborhood. Autonomous congregations are the theological equivalent of “Nobody tells ME how to do church!,” and this is the catalyst for all the craziness of the evangelical circus. Before that, we actually believed that committing to doctrinally approved and LCMS produced worship materials, to our ordained Pastors subscribing to (and teaching) the Lutheran symbols and to worshiping in traditional Lutheran fashion was the meaning of “walking together”. If you didn’t want to do it, you didn’t want to be LCMS. What happened!? CPH promotes Creative Worship quite a bit so it must be OK. The motivation may not be, but the result still is. A misguided attempt to relate to people, no matter how sincere, does not make it acceptable or right. You sound as though you are willing to justify poor practice and/or bad behavior simply because the person had good intentions. I’m not sure I buy that. I would also add that God alone tells us how to do church. What He reveals to us in His Word, our doctrine, informs what we believe and in turn shapes our practices. We are basically practicing idolatry when we say, “No one tells me how to do church!” because that statement is directed at none other than God himself and His Word. The motivation is sincere (perhaps misguided) desire to relate to the folks in the neighborhood. Tell me, how many “folks in the neighborhood” have joined you in the last year, because of the contemporary service? Would they have come anyway, if you only had traditional? I have never used Creative Worship (or even seen it used). Does it conform to the constitutional requirement for being a doctrinally pure hymnbook? The real issue in the LCMS is not what we “can” do, but what we have pledged to do. The Constitution makes it very clear. Those who are not using doctrinally pure agendas, hymnbooks, and catechisms are not being honest to their promise to the rest of us. I didn’t say the “motivation” was unloving or selfish, but that the “act” was. That’s straight out of our Confessions: In this context, love isn’t a warm squishy feeling, it is objectively shown when we practice adiophora w/ the brother; liberty is to be so controlled that the inexperienced may not be offended on account of the abuse of liberty; without a reasonable cause nothing in customary rites should be changed; Lutherans value public harmony above all other advantages. (Ap XV 49-52 http://www.bookofconcord.org/defense_14_traditions.php ) Please take the time to read this section, it’s all in there. If your pastor/congregation believes that they have found an “advantage” to using non-Lutheran worship styles that outweighs the loss of public harmony, then they have rejected AP XV. I’m not going to judge their “motivation” for rejecting AP XV, but the act is by definition “Confessionally unloving” it can’t be anything else. If it was not their intention to reject Ap XV, public harmony and fellowship w/ Lutheranism, then they can stop using non-Lutheran worship styles. Except our organizational constitution doesn’t and actually specifies what is expected of each congregation. I am suddenly reminded of our national political scene. I’ve seen my PCA friends go through their ecclesial courts and trials to weed out false teachers. They would not even led R. C. Sproul Jr. in! (…and many of the TR’s have Tim Keller on their hit list…) They have process, systems, and standards in place. The “Book of Order” is to Presbyterians what the “Book of Concord” is to confessional Lutherans. Theirs has doctrine AND practice spelled out, but we focus almost exclusively on doctrine, expecting that the practice will work itself out naturally from the doctrine. Look at our synod. Is it working? It means nothing to have “you should do this” on paper if not doing it invokes no consequence. I’ve seen countless LCMS’ers hide under congregational autonomy saying the synod can’t tell us what to do. Functionally, they appear to be dead right. This is the opposite of mutual submission, and the ecclesial equivalent of the Southern Baptists. 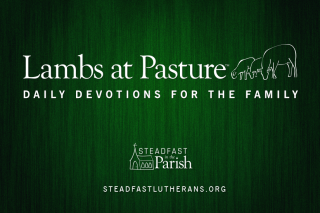 Don’t you think Lutherans ought to be different? With our doctrine, you’d think we’d be far less tolerant of circus acts parading as religion than the SBC. Very true. Our theology doesn’t allow for such glory worship. Thanks for weighing in on other church bodies efforts – this is not just a Lutheran issue, although you would think we would have better solutions. Thank you, Rev. McCall, for your commentary on the oft-abused and misinterpreted passage from 1 Cor. 9. I have been making the same points you have made here for years with those who use this passage as justification for changing corporate worship. To use this passage for such justification is to abandon proper exegesis of the actual text. That trained Lutheran clergy, who should know better, do this is, to put it bluntly, a travesty. What makes it a travesty is not simply that they are abandoning proper exegesis, but that they are interpreting this passage (and many others) in light of what they have learned from those who do not share our Lutheran confession of the faith. This is something that many do not understand, which is why they’re confused about the ongoing “worship wars” among us. They have been taught by Lutheran pastors to interpret this passages (and others) as providing justification for introducing contemporary worship among them, but what they don’t know is that those Lutheran pastors did NOT learn to interpret such passages this way from our Lutheran Confessions, our Lutheran fathers in the faith, or the fathers in the faith from whom our Lutheran fathers learned. They learned this method of interpreting such passages from “other fathers,” who not only do not share our Lutheran confession of the faith, but who mince no words in making it clear that they believe the way our Lutheran fathers and the church catholic have interpreted the Scriptures for 2000 years is just plain wrong. What people need to know is that Lutherans doing contemporary worship is still a relatively new phenomenon. It really wasn’t until the late 80’s that this innovative movement began to pick up steam, and it wasn’t until the mid 90’s that it became commonplace for congregations among us to have contemporary worship offered. For those who will point out that they know LCMS congregations who had contemporary worship earlier than this, yes, I know there were a few scattered to and fro. But, as a movement, this did not become commonplace among us until very recently. And, here’s a newsflash that may shock some people: It wasn’t “officially condoned” among us until just a few years back! Prior to the release of “100+ praise songs” authorized by the LCMS Commission on Worship in 2008, congregations had no official “okay” from synod to be singing the contemporary praise songs they had been singing for twenty years. They were just doing what they wanted to do. And – AND!!! – the pastors who were leading them in this new and innovative direction KNEW full well that they were doing things not condoned by our synod, and that the things they were doing followed the principles, methods, styles, theology, etc. of those who were NOT Lutheran. I knew a few of those pastors on the cutting edge of this new and innovative movement back in the late 80’s to mid 90’s, who were “doing CoWo before CoWo was cool.” They knew exactly what they were doing. They would say things like, “The LCMS still has its head in the sand and wants to worship like it’s the 16th century,” and, “The Lutheran liturgy has its place, but it’s not effective in reaching the lost,” and, “The hymnals do not appeal to the unchurched,” and, “Sooner or later the synod will wake up to reality and learn that we need to change the way we do church; until then, we’ll have to keep what we’re doing under wraps,” etc. Where did all these pastors learn this new and innovative way of worship? They drank deeply from the well of the Church Growth Movement (CGM). They read, learned, marked, and inwardly digested the classic texts of the CGM and the books written by many of their favorite “evangelicals.” Many of them went and got themselves degrees from Fuller Theological Seminary (and other non-Lutheran places), and brought that foreign and very un-Lutheran theology back to where they serve and implemented it. They had a new theology of worship, which runs decidedly counter to our Lutheran theology of worship, and which comes from employing different principles of interpretation, so that passages like the one from 1 Cor. 9 are used to support this different theology of worship, even though that passage (and the others they use) has nothing to do with corporate worship. The truth is that you simply cannot find the idea that worship needs to appeal to the unchurched (i.e. unbelievers) anywhere in Holy Scripture. I’ve been challenging Lutheran pastors who adhere to this unScriptural idea to show me where in Holy Scripture this is promoted or endorsed for twenty years, and I have yet to have a single one do so. Oh, I have had some throw the same passages interpreted by non-Lutherans at me as supposed proof that this idea is promoted, but those passages have nothing at all to do with corporate worship, and the only thing that is proven when Lutheran pastors employ them to justify the idea that worship needs to appeal to the unchurched is the fact that they have bought into the interpretive principles used by non-Lutherans. Thus, the mantra I’ve heard from many Fuller-trained and Fuller-following LCMS pastors that “the hymnal does not appeal to the unchurched” is exactly right. It doesn’t. But, then, it’s not meant to appeal to the unchurched. Duh! It’s meant to feed the faithful. It is the language of the faith. It is the food and sustenance sinner/saints need as they make their way through the valley of the shadow of death. The idea that we should take this food and sustenance away from the faithful in order to give the unchurched (i.e. unbelievers) “food” that appeals to them could have only originated from the father of lies, who desires nothing more than that we take the focus off of Christ and the Divine Gifts He delivers in the Divine Service and turn worship into an entertaining and emotionally manipulative hour of “I/me/us time,” filled with “I/me/us songs” and “I/me/us dramas and skits and testimonials and motivational speeches,” etc. Likewise, the similar mantra of “Evangelical style, Lutheran substance” is a lie from the same source. The proof is in the eating of the pudding. People have eaten that lie for nearly a generation now and the results are exactly as we would expect, namely that those who have been raised where this mantra resonates speak a different language, have a different theology of worship, and a different confession of the faith than those who have been fed and nourished with Lutheran liturgy and theology. In short, they have a different idea altogether of what it means to be Lutheran. When they find themselves visiting an LCMS congregation where the historic liturgy is used, they feel a bit like Dorothy felt when she was whisked away to the Land of Oz. And, should they have to relocate and find themselves in a place where the only LCMS congregations around employ the historic liturgy and have Divine Service, rather than a “worship experience” (I know the chances of that happening these days is, sadly, not very realistic, but there are still a few places left like that), they will readily join the non-denominational church in town with the best praise band and most programs, since that is “Kansas” (home) to them. Ask me how I know. But, again, this should not surprise us. Evangelical style, Lutheran substance, which really means, Evangelical Practice, Lutheran Doctrine, doesn’t work. It can’t work, no matter how hard a well-meaning Lutheran pastor may try to make it work. You just cannot pull it off, because practice is nothing more than doctrine in action, and when your practice is Evangelical, so is your doctrine, no matter how mightily you strive to Lutheranize it. As a beloved seminary prof was often wont to say, what you end up with is “Baptists who happen to use wine in Communion” (you can substitute “Baptists” with “Methodists, Pentecostals, Evangelicals, Non-Denominationals,” etc., depending on local flavor). How do we end the “worship wars”? Honesty would be a good way to start. We could be honest about where and why and how contemporary worship originated among us. The guys who brought this stuff in were at least honest in admitting their reasons for doing so back in the day, even if they were dishonest with the synod-at-large in hiding what they were doing. They really believed that Lutheranism needed to change and they sought to change it. Mission accomplished, I’d say. Contemporary worship is found all over our synod today and we have Lutheran pastors justifying it by misinterpreting the same passages used by non-Lutherans, who have a very different theology of worship and confession of the faith – the very groups our Lutheran Confessions themselves condemn. But, I’m not holding my breath – honesty is not something Missouri does very well. Have we ever admitted we were wrong about anything? Is Creative Worship among the “synodically approved resources”? Yes, it is reviewed/approved both by the Synod’s Commission on Worship and by the Synod’s Commission on Doctrinal Review. FYI Creative Worship is not a book but a quarterly CD with new ordinaries (oxymoron?) for each week. The format seems very Lutheran to me. If you include all the varieties and possibilities that CPH provides for Sunday morning worship, every bit of which has been through doctrinal review and carries the imprimatur of Synod, there are thousands and thousands of liturgies. Well said, Pr. Messer! Thank you. Yep, it is a dream, a long shot, especially with so many libertines in our midst who could care less about Lutheran worship or love for their neighbor. They want what they want, even if it means masking their unbelief in the means of grace behind their “zeal for the lost”. Well, the point I’m trying to make is that in the PCA, they don’t just sit around and wring their hands over those wearing their label yet refusing to honor it. But it seems that’s all we can do in our denomination. If we truly believe in “semper reformanda,” or are at least willing to admit the LCMS can and should be approved, then we should work towards a structure that embraces mutual accountability among our churches and leaders. If I were a synodocrat, the doctrine of congregational autonomy would be the first thing I brought to the chopping block. I know as Lutherans we do not embrace one polity over the rest as the single Biblical model, but we’d have to be fools to insist that our current one supports our goals and mission. Churches with “Lutheran” on the sign and a charismatic liturgy on sunday aren’t going to hell, but if the theology we write on our doctrinal statements is honest, then the Missouri Synod isn’t the best place for them to be. If the church holds to Lutheranism ONLY on soteriology and sacraments, functions like a Calvary Chapel that happens to baptize infants, and practices a “bare minimum confessionalism” where they only accept as binding the Augsburg confession and small catechism, then they are in perfect uniformity with the doctrinal position of the Lutheran Brethren. Wouldn’t it be more honest to align with them? They don’t bite! Well, whether or not this is orthodox for all confessionalists, it sounds like “Creative Worship” could prove helpful to me, at least for the preludes and psalm settings (2 things I have really been having a hard time acquiring). I suppose I shall invest the time to dig through the stacks of them I found lying around in a filing cabinet. Several have made the point that there can be a divergence between the theology of the liturgy and the theology of the pastor, and that is no doubt true. But it not the whole story or the whole point of the article. I posit that usually there will be less divergence between the theology of the liturgy and the actual faith and piety of the congregants. The manner of worship practice will be a larger influence on the laity than on the pastors for multiple reasons. One reason is that the laity do not have many of the other influences pastors do because they have not gone to seminary and don’t read the many things that pastors do. Another is the mode of learning of many of the laity. The vocations of many of the laity are ones where you do to learn, whereas the pastorate learns to do. Doing is learning for many of the laity. That’s their pedagogy. This is an excellent observation and probably the best non-theological reason for maintaining and using exclusively the historic liturgy and good Lutheran hymns that teach the faith. You are also in good company on this point, as Dr. Luther says as much. Unfortunate, isn’t it? Even more unfortunate is that many of the hymns in LSB, TLH, HS98 are not doctrinally pure, either. A travesty that LSB incorporated terrible ‘hymns’ when the LCMS had the opportunity to assemble an outstanding hymnal. My suggestion is a doctrinally pure hymnal with no compromise and no “service builder” software. Let’s face it, the CGM/CoW folks are not going to use it anyway. As someone else said, the Divine Service is for feeding the flock, not to appeal to the itching ears of the world. By compromising on hymnody, we do exactly that. I believe it was my ULC Minneapolis campus pastor, the Rev John T. Pless, who put it like this: “the congregation will never leave the service humming my sermon.” If liturgy and music diverge from theology, the congregation will likely go w/ the part they can hum. So LSB incorporates terrible hymns, Creative Worship sounds like it doesn’t fit what our Constitution says, and WELS pastors don’t tuck in their shirts. Ah, yes, John Rixe. The insipred OWHj informs the Church that its original dimensions are somehow that which it is to strive to surpass. Pretty much sums up the rationale and purpose of CW/CG. As to hymnal and hymnody, I salute you, R.D. 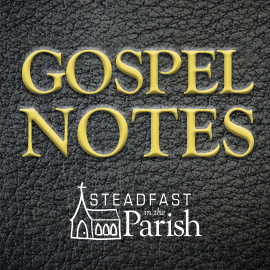 John Rixe :So LSB incorporates terrible hymns, Creative Worship sounds like it doesn’t fit what our Constitution says, and WELS pastors don’t tuck in their shirts. Interesting to see the negative comments related to Creative Worship by those who have never used (or even seen) it. My theological discernment isn’t nearly as sharp as the writers here, so I haven’t really picked up on any theologically impure hymns in the LSB. Mostly, I’ve been incredibly impressed by all the new hymns I’ve been learning from the Lutheran tradition. For my enlightenment, could you provide me with the numbers of some that you consider to be in err? FWIW, it may not be perfect, but compare it with any other offering on the marked right now, and it is significantly more substantive, deep, and musically astute than any I’ve seen (an my hymnal collection is pretty large). I have never used or seen cocaine either, but I suppose that makes it something I cannot negatively comment on. The comparison was for a joke, sorry it didn’t have the effect I desired. My apologies. It is not straining gnats. The hymnbook is there. It will be there with the same stuff in it next year, and the next and the next until a new hymnbook is produced (may it be a long time). A mailed or emailed CD/documents that change all the time is not the same thing. It teaches something different, that worship is ever-changing for our never-changing God? I suppose even the heavenly picture of worship in Revelation has been renewed through creative means since John first saw it. Not to be too snarky about it – but do you understand what I am trying to say, hymnbooks don’t change, they use the same pattern of words from (hopefully) generation to generation. Creative worship (as you have described it) does not do that. I firmly believe that people learn from that atmosphere of change (and not good things). And I know we have covered it before, but that is one of the great strong points of a liturgy that does not change over time. I can hear a pastor chant, “Glory be to God on high.” and immediately know what follows, even when I am too old to see or hold my hymnal up. I know the confession by heart as soon as I hear, “I, a poor miserable sinner, confess unto you all my sins…”. And our words join across time with Simeon and all the saints every time we sing, “Lord now let your servant depart in heavenly peace…” FWIW I don’t think the angels and saints in heaven tire of singing the same words over and over again around the heavenly throne. Only here while we are still sinful beings do we want our itchy ears to hear something different.